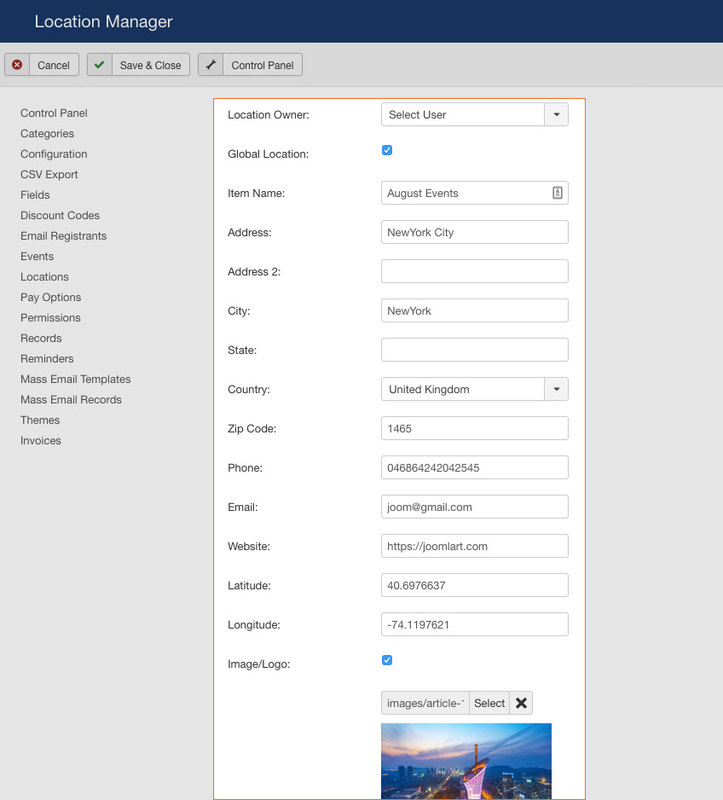 To create new location, access Locations panel and hit the add new button. Update information for location: location name, addresss, city, state, country and more. 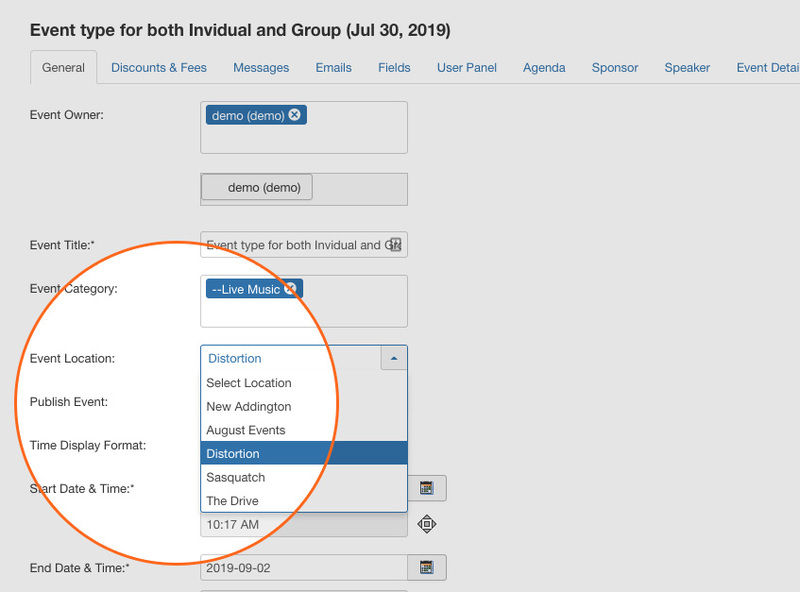 In the editing page of the event you want to assign add location for, find the field Event Location: and assign location for the event. In front-end, the location info will be shown in the event detail page with Google map.